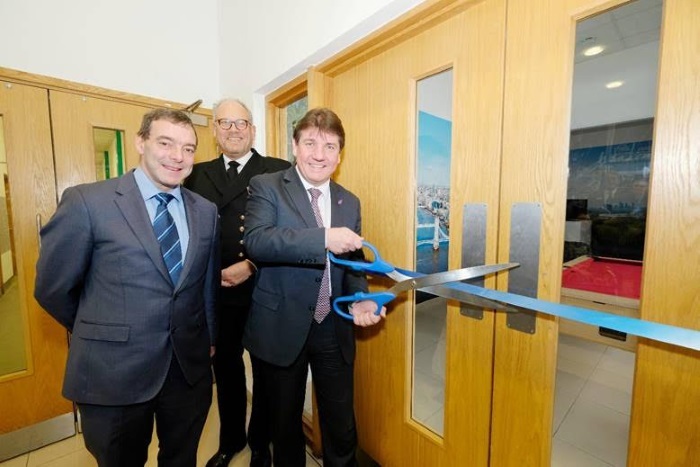 DP World London Gateway port has officially opened its newly refurbished seafarers’ centre. The ceremonial ribbon was cut by Stephen Metcalfe, MP for South Basildon and East Thurrock. DP World London Gateway has recently invested £10,000 in the facilities as part of a joint project with Queen Victoria’s Seamen’s Rest (QVSR) – who manage the centre on behalf of DP World London Gateway. The centre, which is located just a stone’s throw from the port, has benefitted from redecoration and upgraded facilities to create a more ‘homely’ environment for sailors to enjoy some respite away from their ship. Amenities include free Wi-Fi, television, pool table, comfortable seating and a vending machine to re-stock essentials such as phone cards and toiletries. From left to right: Alexander Campbell, Chief Executive QVSR; Colin Hitchcock, Harbour Master for DP World London Gateway; Stephen Metcalfe, MP for South Basildon and East Thurrock. “DP World London Gateway is enabling global trade and working to create a better future for everyone. Shipping services, and the men and women that operate these services at sea, are at the very heart of this global trade; without their work, we would not have the expanse of goods that we enjoy in the UK, from bananas and avocados to flat screen TVs! From left to right: Colin Hitchcock, Harbour Master for DP World London Gateway; Alexander Campbell, Chief Executive QVSR; Stephen Metcalfe, MP for South Basildon and East Thurrock. 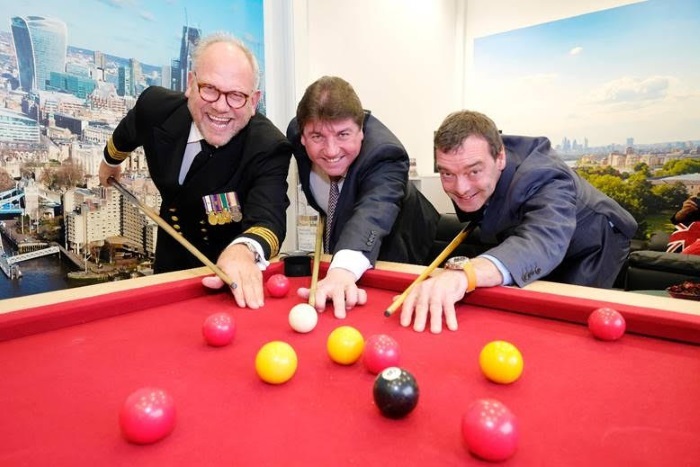 Sailors that are docking for longer periods can make use of a free shuttle bus, also funded by DP World London Gateway, to the seafarers’ centre at the port of Tilbury that also has a pool table, football pitch, basketball court and bar among its facilities.